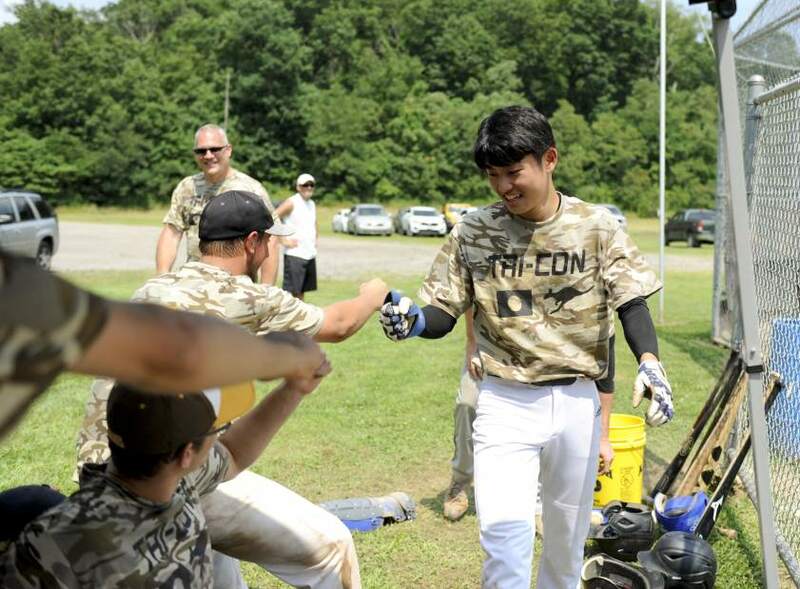 PennsylvAsia: Western Pennsylvania welcomes Japanese baseball players to the Freeport International Baseball Invitational. Western Pennsylvania welcomes Japanese baseball players to the Freeport International Baseball Invitational. by Jack Fordyce of the Tribune-Review. Outside of the noisy bus, Ito is enjoying his trip, taking in new experiences big and small surrounding him. Yamahara, who goes by the nickname “Yoshi,” is playing in the FIBI for the second consecutive year. He first met Ito a year and a half ago while playing baseball at International Christian University in Tokyo. Yamahara, 20, grew up in Kagawa Prefecture, which is a few hours south of Tokyo, where he lives while in college. He compared Kagawa Prefecture to a rural area like Freeport. Ito, 20, has lived in Tokyo his entire life. The pair arrived a week early to spend time with their host family, the McKinigan's, and take in activities before the FIBI started. They went to Pittsburgh Zoo and Sky Zone Trampoline Park in Monroeville, where they played dodgeball on trampolines. In Yamahara's last visit to Freeport, one thing that stood out to him was the food, which is much different than food in Japan. Also in the Trib is an interview with Yamahara and a story on the host families housing this year's delegation.